The national poll found that half of all shoppers categorise themselves as “tox avoiders”, people who actively avoid cleaning products containing nasty chemicals and instead choose eco-friendly products or old-fashioned cleaning aids like bicarbonate soda or vinegar. Only one in 10 describe themselves as “pro tox” – those who actively seek out strong chemical cleaners, believing these make their homes or families safer. Leader researcher Carla Ferraro said that the results confirm that despite heavy marketing by some manufacturers, Australian shoppers are sceptical about the benefits of harsh chemical cleaners. “Australian consumers are very open to healthier and more environmentally-friendly alternatives,” Ms Ferraro said. “However, the study worryingly also showed that many people shopped on “auto pilot” and did not make well-informed choices. 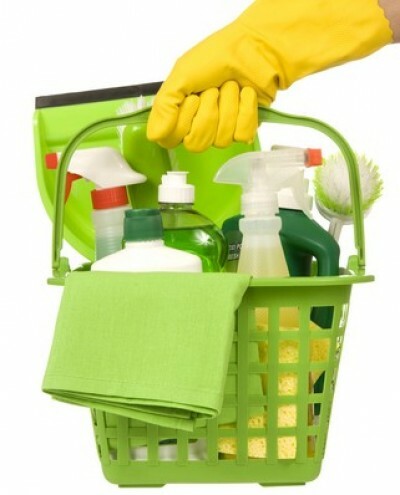 The poll highlighted the difficulty consumers faced in making informed choices when buying cleaning products. While 95 per cent of consumers relied on product labels for information, more than eight in 10 believed that manufacturers should be required to list all of the ingredients on the product label in much the same way they are for food and cosmetics. “This research highlights both the opportunity and the challenge for industry and government. It’s good that eco products are now on the consumer radar but now we need to take the next step and help the broader consumer market become better informed about environmental choices and benefits,” Ms Ferraro said. The research was commissioned by Ecostore, a leading manufacturer of sustainable plant-based household cleaning and personal care products based in New Zealand.